Diet for endometriosis can be very helpful for the reduction of pain and other symptoms that are typically endured by those with this painful, chronic disease. Endometriosis affects five and a half million women and girls in the United States and Canada. If you or a loved one suffers from endometriosis, this article will help you to have some relief by simple diet changes. Endometriosis occurs when misplaced endometrium tissue, which normally lines the uterus, grows outside the uterus. This tissue is unable to leave the body as it typically does through menstruation. Internal bleeding, inflammation and pain are the result. Treatment for endometriosis depends on the progression of the disease. Drugs may be prescribed that are intended to stop normal hormonal cycles in an attempt to keep abnormal tissue from spreading. Hysterectomy is sometimes recommended if symptoms are very severe or disabling, but this does not always end the problem. Milder cases may be treated with laparoscopy where a laser is used to vaporize abnormal endometrial tissue. If you suffer from endometriosis you will appreciate that you can reduce the pain simply by adopting the proper eating habits. By making simple changes in the way you eat and using supplements wisely, you can reduce inflammation and help keep early symptoms under control. In addition to diet, exercise can be helpful as well. Moderate exercise, such as walking, will help you feel better. In fact, some studies have shown that exercise may lower the production of estrogen in the body. Lowered estrogen levels help to suppress endometriosis symptoms. Pain in your body due to endometriosis is cause by the production of naturally occurring fatty acids called prostaglandins. These fatty acids are derived by the foods that you eat. By changing the oils that you consume, you can help prevent the prostaglandins that stimulate contraction and cause pain. 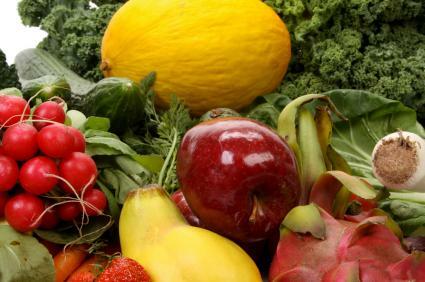 Ideally, your diet should consist of about 50 percent raw fruits and vegetables. One or two servings a day of green vegetables, like mustard greens or broccoli, will also assist in balancing estrogen levels. The views on adding soy products to the diet vary. Some experts believe that soy is an important aid in the management of endometriosis. Others feel that, because soy contains high amounts of phytic acid (as does wheat), it should be avoided because phytic acid may aggravate the symptoms of endometriosis. Fermented soy products like miso, tamari and tempeh may be safely eaten but only occasionally and in small amounts. Consider the following chart while you decide on the foods that are best for your diet for endometriosis. In addition to eating the proper diet for endometriosis, the following supplements may also be helpful. By following the proper diet, complementing your diet with needed supplements and adopting a moderate exercise program, you should notice an improvement in your symptoms. If symptoms worsen, be sure to contact you doctor immediately.